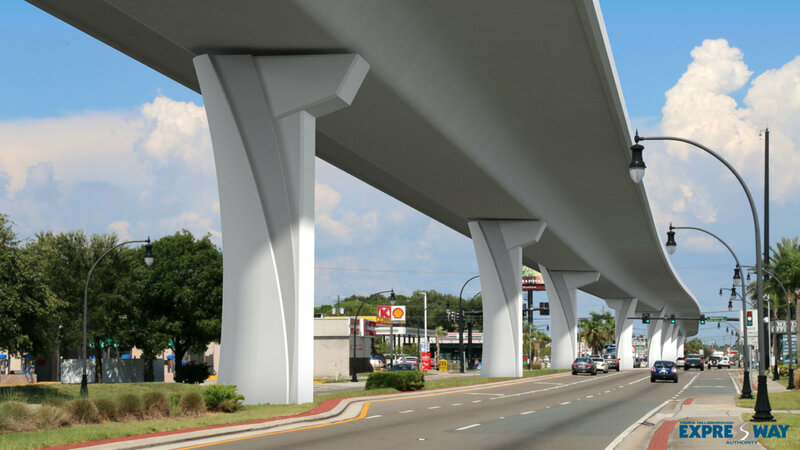 On October 9th at 6:30 pm, the Tampa Hillsborough Expressway Authority hosted a Virtual Town Hall Meeting and presented two design options for the Selmon Extension. THEA is asking the public to provide input on which design they like better. Voting will be open until October 20, 2017, until 11:59 pm. Visit selmonextension.com/vote-now to cast your vote. Traffic is already horrible in the afternoon on Gandy bridge eastbound. What will be the impact during construction of the traffic flow? Thank you for your question. All lanes of Gandy Boulevard will remain open during peak hours. When the inside lanes of Gandy Boulevard must be closed, they will mostly be done so during nighttime hours. Sounds good here. How does it sound now? If this is going to be 60′ wide and gandy is only 57′ wide how come the images of this are so small? Thank you for your question. The right of way width for Gandy Boulevard is 100 feet. How come the drawings you list online show the median at 34′ when in median including turn lanes is only 15′ wide? The proposed median width is going to be 34′ wide in those without turn lanes unless there are turn lanes. Sidewalks are not covered the viaduct structure extends 1 to 2 feet beyond the inside lane line. Even your video does not accurately show the width of this. isn’t THEA required under the sunshine law to not mislead the public? THEA is not misleading the public. Plans for keeping businesses accessable? We will not close any driveways of businesses during construction without providing an alternative access to the businesses. This will only be required along Westshore Blvd. associated with a City of Tampa widening project that will be built as part of THEA’s project, and along the south side of Gandy Blvd. just to the east and west of Westshore Blvd. Once construction begins, THEA will also have a public information officer onsite who will hold regularly scheduled roundtable meetings with Gandy corridor businesses. How come all your pictures & videos show this barely extending over the inside lane when it is going to be 60′ wide and Gandy itself is only 57′ wide. Gandy Blvd. is generally 100 ft. wide. What is the point of meeting with the Gandy businesses when all Gandy businesses are opposed to this. if THEA listened to Gandy businesses they would no be building this. Many Gandy businesses strongly support this project. In the latest traffic report done by thea it stated that only 10% of all gandy traffic is regional and the real purpose of this was to bring in 50,000 people from 275 to downtown to bring in new tolls. How does this help south Tampa? Our traffic studies estimate that approx. 40% of traffic is passthrough – meaning it has no destination in the Gandy corridor. We have a record of your questions being answered. After the downhill there will also be a record available of all the questions and answered from tonight’s Town Hall. 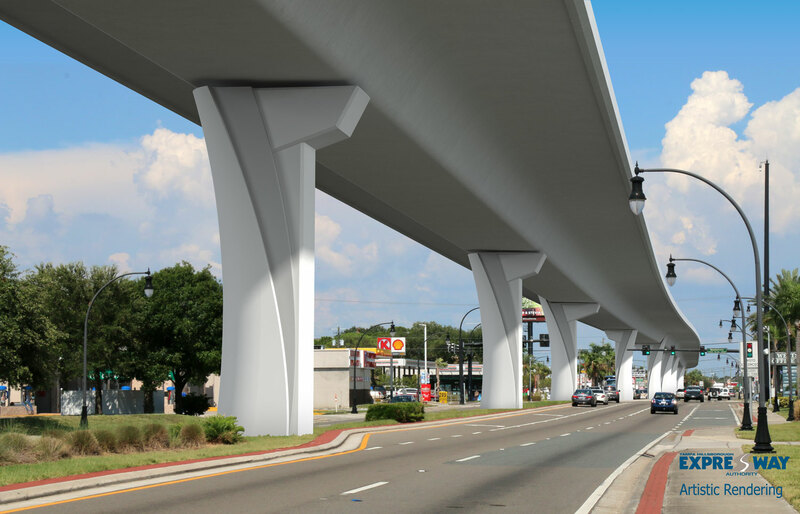 The Selmon Extension will not cause any businesses to be eliminated. When will the East bound side of the Gandy bridge be replaced and have any considerations of this been incorporated with this design plan? Thank you for your question. FDOT has just begun project development and environmental PD&E study on the Gandy bridge and it’s Eastbound replacement. Gandy is only 57′ wide. the overhead is 60′ wide. the images only show it coming over the inside lane and the same has been said in all virtual town halls. how is that not missleading the public? Thank you for your question. Unfortunately, there is not an option to combine choices. The bottom pier needs to match the top fin. Your recent study said that only 10% of traffic was pass through which is correct what you are saying now or your study? 40% of traffic is passthrough, according to our traffic studies. Gandy has been measured multiple times it is only 57′ wide except at one location where it is 65′ no where on the tampa side is it 100′ wide. that is st pete. Gandy Blvd. right-of-way is 100 ft wide. The vivid rendering did not show lane lighting for the westbound lanes. Will there be lighting similar to that shown on Estuary? Thank you for your question. Yes, aesthetic lighting will be provided for the piers and overhead structure in both designs. Where can I get more information on the ‘Westshore expansion’ project mentioned in this presentation? Thank you for your question. The City of Tampa is in charge of this project. You can get more information from the City of Tampa Transportation Department. Thank you for your question. The median opening to Culbreath key will be maintained at all times except during construction of the adjacent pier and then only between the hours of 9pm to 6am. For gandy to be 100′ wide that would put the lanes at 14′ wide and the median at 34′. that number is ridiculous. is Thea incompetant to come up with that number or lying? The right away width contains the median turn lanes, thru lanes and border width which includes the sidewalks. Who is responsible for the upkeep of the grounds under the connector? Thank you for the question. The landscaping will be maintained by the City of Tampa after the project has been completed. We were told in the last two virtual town halls a noise study would be completed. has that been completed or has thea lied to the public about it? The noise study has been completed and is contained in the approved environmental documents. https://selmonextension.com/thea-investment-grade-traffic-and-revenue-study/ that study states that only 10% of the traffic is pass through. Thank you, for future presentations, can you include what is being done for bicycles and pedestrians along GANDY bLVD. Will there be dedicated bike lanes and dedicated cross walks as part of this plan? Are we able to view those? Thank you for participating in our Virtual Town Hall and for your question. All existing crosswalks along Gandy Boulevard will be maintained. Currently, there are no plans for dedicated bike lanes because they would require additional right-of-way and there is no right of way available for this project. However, bicycle improvements will be evaluated in future improvements to Gandy and Palonis parks. how come you keep stating that gandy is 100′ wide when it is a fact that it is only 57′ wide. you state the median will be 34′ wide when it is only 15 (including turn lanes) how do you explain these inconsistancies? what is the link to the noise study? The SEIR is located on the SelmonExtension website. Gandy blvd is 57′ wide not 100′ Please explain where you are getting 100′ from. the lanes only take up 40′ on both sides. the median is 15′ the run off takes up 2′ where is the additional 43′ coming from? We will send a link to you after the VTHM. We are trying our best to answer questions from many people in real time. If thea insists that gandy is 100′ wide & the media is 34′ wide that is a flat out lie. isn’t thea required to be honest with the public from the sunshine law? can you also provide a link showing how Thea came up with 100′? you don’t even need to measure to realize that number is ridiculously off meaning Thea is either lying or incompetant. which is it? The Virtual Town Hall Meeting will be posted to our website, selmonextension.com, within 72 hours. You will be able to view both the presentation and question and answer session. If your have additional questions after this presentation, you can submit your question via the contact form on the website. You can also watch the animated video of the Selmon extension and see the pier renderings at www.SelmonExtension.com. This is going to be 30′ off the ground and 60′ wide will this handle wind shears up to 150mph? has a study been done to see if the ground will support that much wind? what has been done to prevent another collapse like was done to 275 overhead which was not nearly so tall or wide? The bridge is designed to withstand 150 mph winds. Thank you, one more question, sorry. Regarding the street lights on the extension, do you know the height of the light poles? And has there been any study or data that can be provided on the additional amount of ‘light pollution’ to the existing neighborhoods along Gandy Blvd. Thank you for your question. Existing lighting on Gandy Blvd. will remain as is. Lighting on the bridge structure will be 20 ft. above the bridge deck. Where are you getting that gandy is 100′ wide? on the ST pete side it is but not on the Tampa side. is this being built in tampa or st pete? if in tampa how did they get the measurements so wrong? The Selmon Extension is being built in Tampa. Gandy blvd is 57′ wide not 100′ Please explain where you are getting 100′ from. The lanes of gandy are 9′ & 11′ on each side, the median is 15′ wide including turn lanes. there is 2′ of run off space. that comes to 57′ where is the additional 43′ that you are claiming if gandy is 100′ wide? If this is being built in tampa then how do you explain stating that gandy is 100′ wide in st pete and only 57′ in tampa? Gandy right of way is generally 100 ft. wide We are continuing to answer questions. The bridge is designed to withstand 150 mph winds. based on what study? has a simliar overhad been built? is there any basis for this assumption? The windloads are based on FDOT and AASHTO guidelines. How much landscaping is proposed? There is $2 million allocated for landscaping in the project. Where is the fdot map that shows that gandy blvd on the tampa side is 100′? We don’t have a link but we can send you the attachment. Can you please send us a request via info@selmonextension.com? We are concerned about homeless and the prostitution population? Thank you for your concern and for participating. The minimum clearance of the bridge is 30′ in height and the narrow median will be almost entirely landscaped with little to no area for congregating. According to google earth which pulls its info from fdot gandy blvd is 57′ wide. where are you getting 100′? You keep giving me the same answer to different questions that is not answering. i have asked many times if the lanes are 9 & 11′ wide and the median is 15′ where is the other 43′ coming from that you add up to 100′ answering 100′ is not an answer. In all due respect, you keep asking the same question. The Gandy right of way is generally 100 ft wide according to FDOT right of way maps, no matter how many times the question is asked. 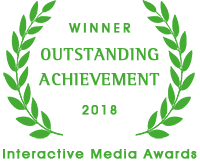 The Tampa Hillsborough Expressway Authority is proceeding with the project but we appreciate your opinion and participation.